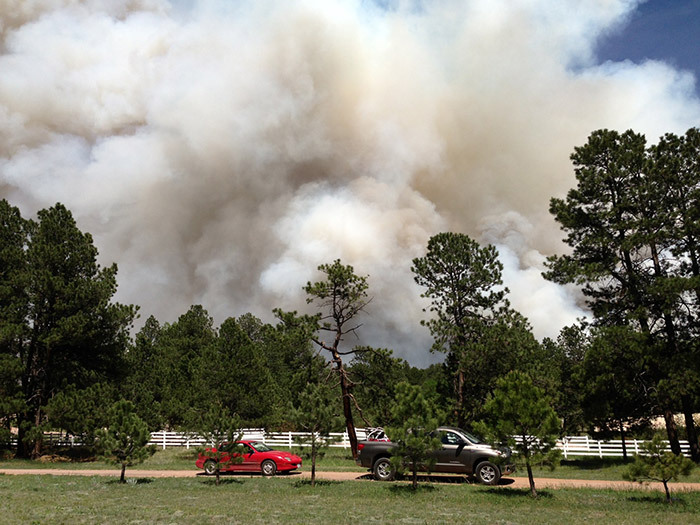 As I write this, I’m about to be evacuated due to the raging Black Forest Fire in Colorado Springs, where I live. If you’re someone I have ongoing business with and are expecting phone calls, email responses, or action from me on our business together, I want to inform you that my family’s current state of evacuation from our home and other logistical demands placed on me by the fire will preclude me from our business together for the immediate future. We have not lost our home as of this moment, but it is squarely in harms way. I ask for your understanding as I attend to these matters at hand. I pray you are safe and unaffected by the fire. I will resume our business together just as soon as I am able. Please feel free to email me with any priority items that will require my attention.